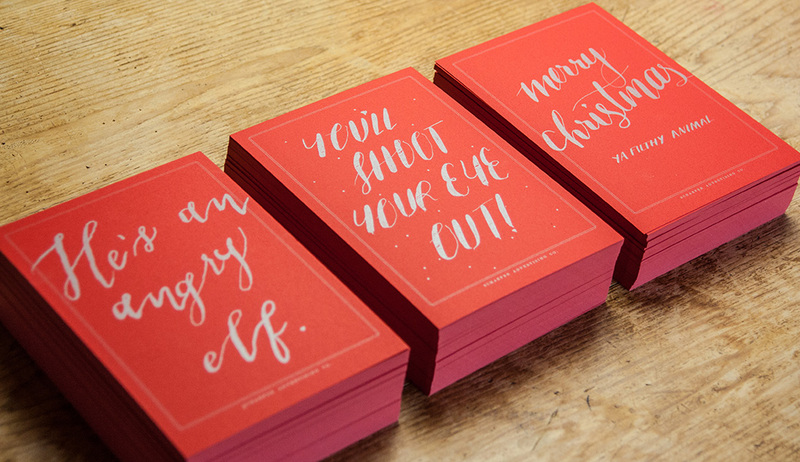 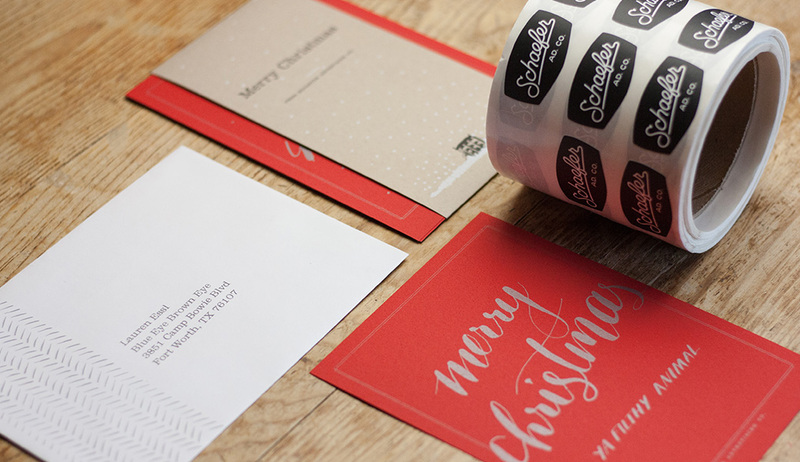 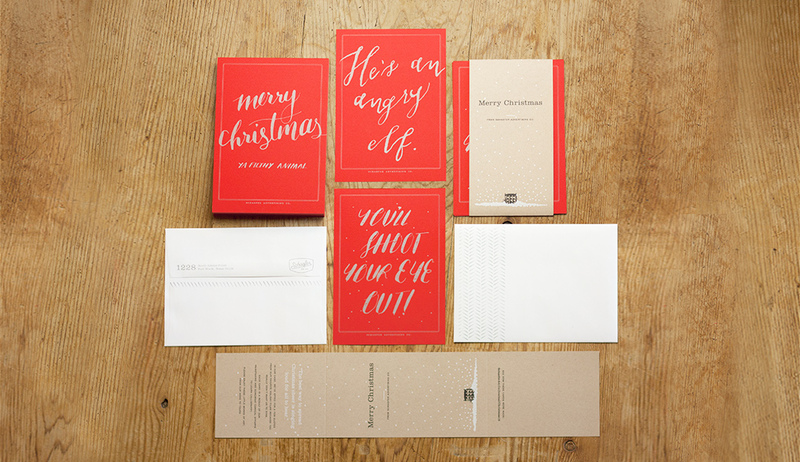 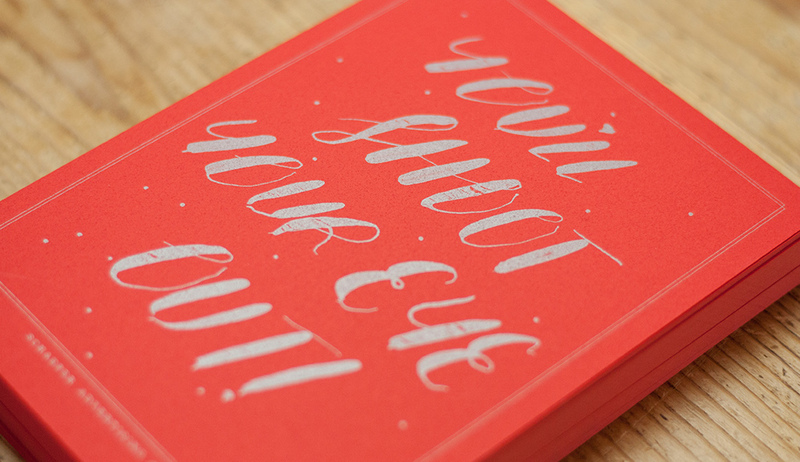 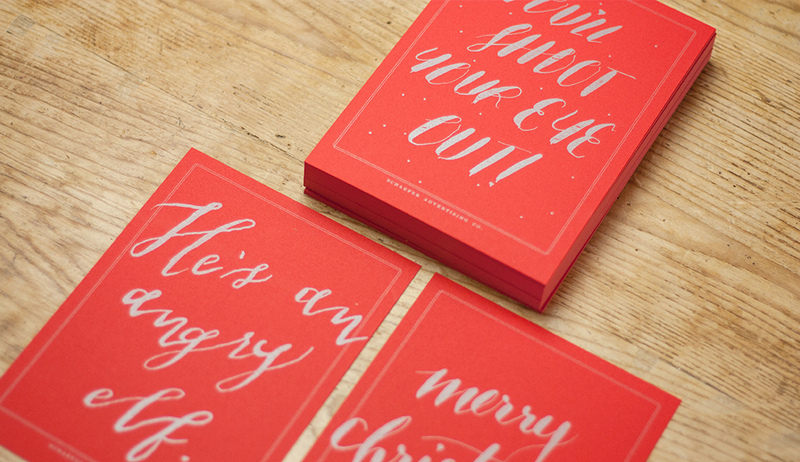 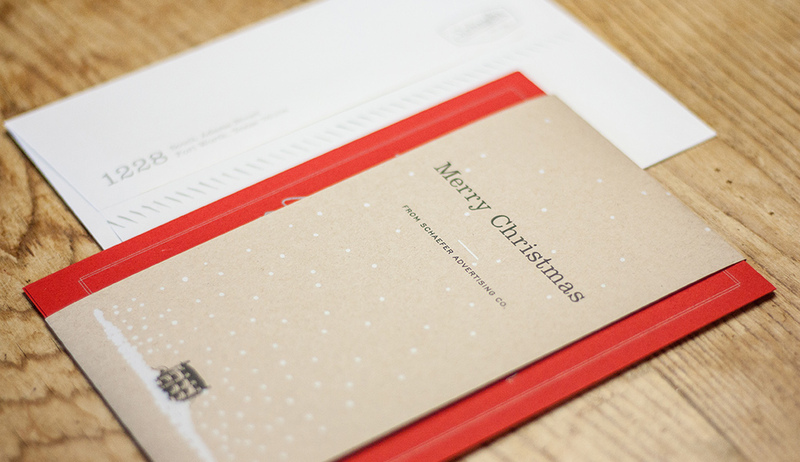 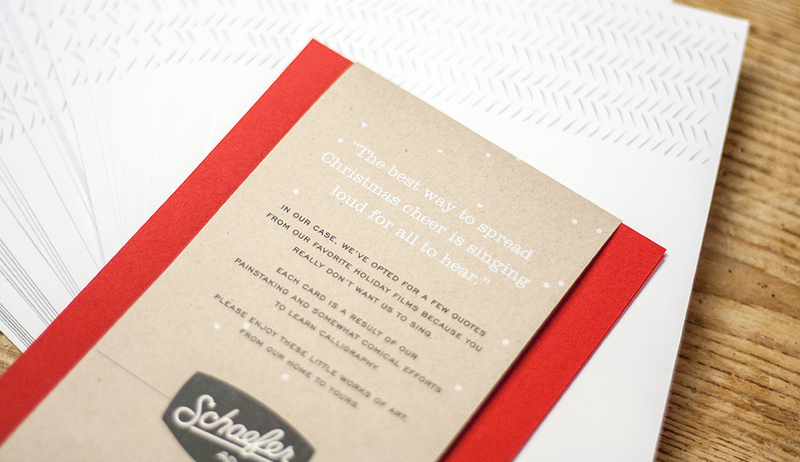 The best way to spread Christmas cheer... - Schaefer Advertising Co.
Or in our case, calligraphy quotes from classic holiday films—you definitely don’t want us to sing. 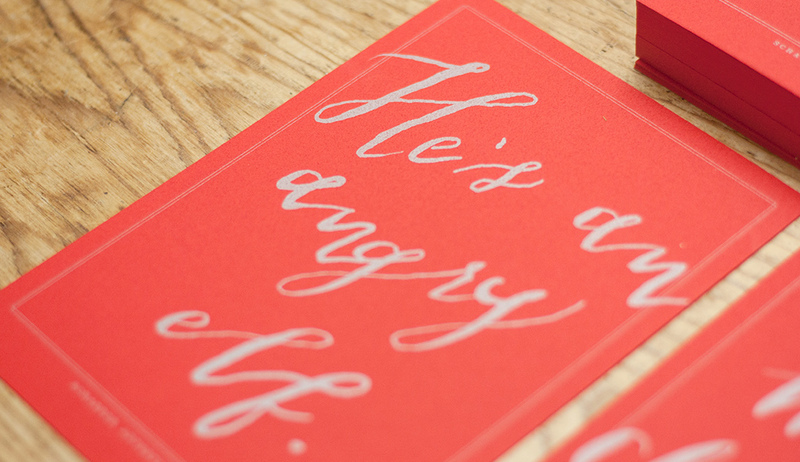 And while our collective voice may not be pleasant, we did join together as an agency for a special edition calligraphy class from the the lovely and industrious Lauren Essl of Blue Eye Brown Eye. 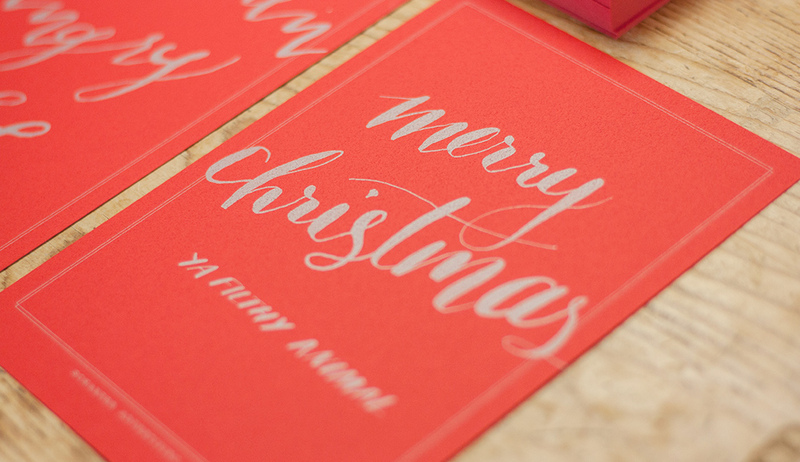 We were provided custom name cards, ink wells and calligraphic pens from the seasoned letter-smith, and taught through practicing the calligraphic alphabet. 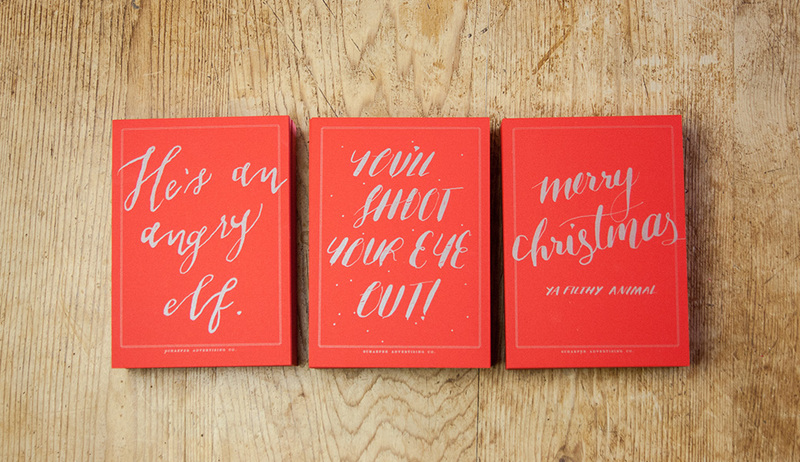 After hours of baselines, stroke-variances and ink splattering, we attempted penning a few of our favorite Christmas movie quotes. 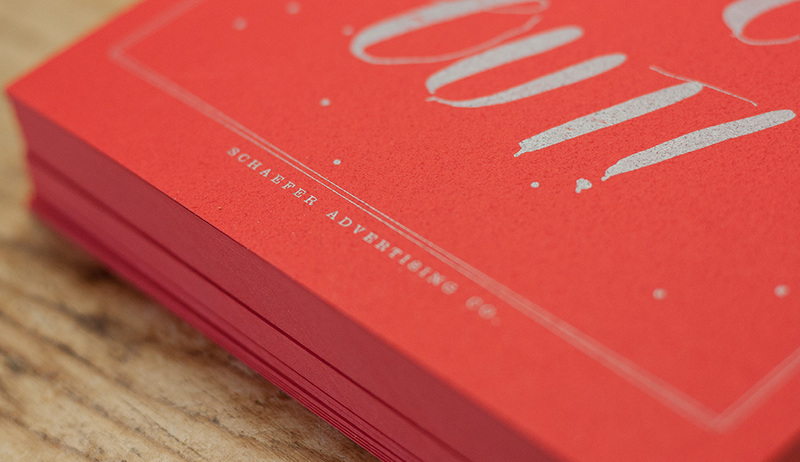 While some of our attempts may be more stink than ink, we finished the whole ordeal a whole lot jollier.